Razordesk is a fully featured web-based trouble ticketing system. 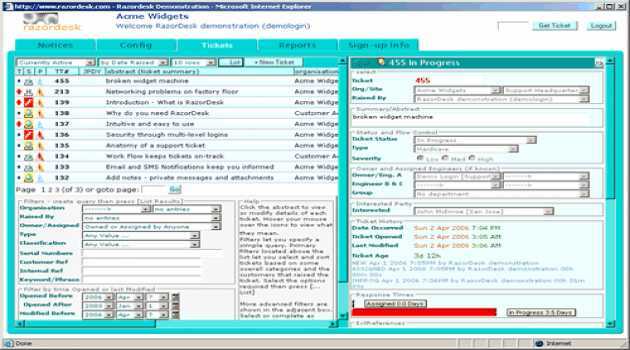 Windows style user interface, contracts, notifications, reporting, jeopardy warning and much more. Free Personal Edition limited to single computer and no reports. Low cost upgrades. Do get lots of e-mail? You need ReplyButler! Your personal Butler prewrites the addressing in the mails, administrates your text modules / boilerplate texts and sorts your e-mails into folders. Try it now! Everything you need to keep track of your customer's requests and issues. 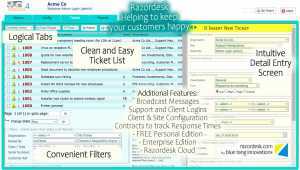 Razordesk, a long established reliable and easy to use support ticketing system, now brought up to date supporting all major desktop and mobile web browsers. 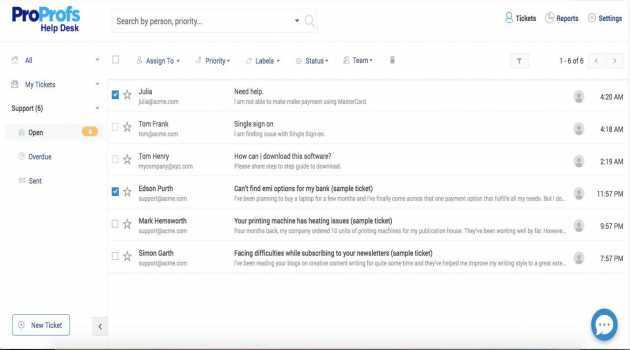 Answer your support e-mails faster with these canned texts for Outlook. 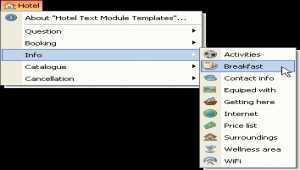 55 texts modules make your start easy. Each text is available in 2 languages, perfect for your international Outlook helpdesk to relieve your e-mail overload. MobileWitch Bluetooth Remote Control is one of the best programs that can be used to control your computer from distance. It is virtually an efficient remote control that allows you to add or change the controlled programs without any sluginess. 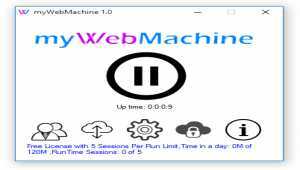 Use a Microsoft Windows machine from any other machine or device using a HTML5 standards browser. HelpDesk OSP connects Outlook to any SharePoint site. Cooperate on issue tracking and user support. Global Setting. E-mail threading. Also for OWA. Great customization possibilities. Subscription $150/month for all kalmstrom.com products. BeamYourScreen is a simple, fast, easy-to-use software program for desktop sharing, which allows users to show their computer screens online. You can give sales presentations and product demos, provide remote support, meet and collaborate online. Alpemix is a remote control, desktop sharing and file transfer software. It works behind any firewall and NAT proxy. It doesn't require installation or any settings. For connect to another computer just run Alpemix on both machines.  Test Outlook as Hotline/Helpdesk-solution for customer inquiries directed at Hotels. 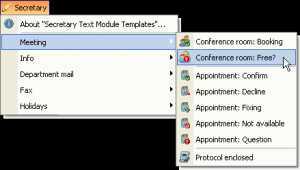 The Plugin for the Software ReplyButler helps you with administration of the text modules for Hotel topics for the helpdesk. Use Outlook as helpdesk for customer mails to Secretariat. 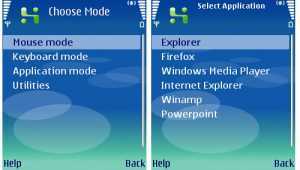 This additional software supports you when you at the creation / storing of the Secretary-text modules for the helpdesk.